Haq's Musings: Can Pakistan Use Qatar LNG Price Leverage For Better Iran Gas Deal? Can Pakistan Use Qatar LNG Price Leverage For Better Iran Gas Deal? Pakistan will import as much as 20 million tons of the super-chilled gas annually from various sources including Qatar, enough to fuel about two-thirds of Pakistan’s power plants. Gas shortage has idled half the nation’s generators. A 75 percent drop in LNG prices since 2014 has dramatically reduced the cost of the South Asian country’s energy needs, according to a Bloomberg report. LNG arriving in Pakistan from Qatar will fetch 13.37% of the preceding three-month average price of a Brent barrel (considering the present Brent price as a proxy, that would equate to $167.5 per 1000 cubic meters), according to a report in Azerbaijan's Trend News. It translates to $4.50 per million BTUs. A comparison with Iran's gas deals with Turkey and Iraq indicates that Iranian gas will not be competitive with Qatari LNG on Pakistani market. In 2014 Iran was exporting gas to Turkey at above $420 per 1000 cubic meters, but the figure plunged to $225, or $6 per million BTUs, currently due to low oil price. Iran previously said that the price of gas for Iraq would be similar to Turkey's price. International Chamber of Commerce (ICC) arbitration court has recently ordered Iran to reduce its gas price to Turkey by 15% after Turkey complained. It's not clear if Iran will comply but even if it does, its price will still be $5.10 per million BTUs, much higher than the Qatari LNG price of $4.50 per million BTUs for Pakistan. As recently as two years ago, LNG shipped to big North Asian consumer like Japan and Korea sold at around $15 to $16 a million British thermal units. Late last year, the price hit $6.65 a million BTUs, down 12% from September, according to research firm Energy Aspects. It expects prices to fall further in Asia this year, to under $6 per million BTUs, as a wave of new gas supply in countries from the U.S. to Angola to Australia comes on line, according to Wall Street Journal. Petronet LNG Ltd, India’s biggest importer of liquefied natural gas (LNG), is saving so much money buying the commodity from the spot market that it’s willing to risk penalties for breaking long-term contracts with Qatar. "I remember a conversation in 2006 with Jack Straw, who was then Britain’s foreign secretary, about his time talking to Iran. He said, People think North Koreans are difficult to negotiate with. Let me tell you, your countrymen [Iranians] are the most difficult people to negotiate with. Imagine buying a car. You negotiate for a whole month over the price and terms of the deal. You reach an agreement and go to pick up the car. You see it has no tires. “But the tires were not part of the discussion,” the seller says. “We negotiated over the car.” You have to start all over again, now wondering whether you have to worry about the metal rim, screws, or any other unknown part of the car. That should give you a sense of what talking to Iran looks like". Regardless of whether Pakistan succeeds in using Qatar price leverage with Iran. it's good to see Pakistan finally beginning to take advantage of historic low gas prices to alleviate its severe load-shedding of gas and electricity. In addition to signing the Qatar LNG deal, Pakistan has launched its first LNG import terminal in Karachi and started receiving shipments from Qatar. Pakistan has also signed a $2 billion deal with Russians to build a north-south pipeline from Gwadar to Lahore. But the country needs to rapidly build up capacity to handle imports and distribution of significant volumes of LNG needed to resolve its acute long-running energy crisis. Pakistan Local Elections; Indian Hindu Extremism; LNG Pricing; Imran-Reham Split from WBT TV on Vimeo. Can Pakistan Take Advantage of Historic Low LNG Prices? Under the (LNG) agreement (with Qatar), the LNG price with QG2 could be reviewed once, after the 10th anniversary of the start date. In case of failure of price review, either party could terminate the agreement with effect from the end of the contract year in which the termination notice was served. Simply put, the minimum supply period under the agreement would not be less than 11 years. The price agreed for each LNG cargo discharged in a particular month is 13.37pc of preceding three month average of Brent value. Annual contract LNG quantity for first year (2016) would be prorate of 2.25m tons and first quarter of 2017 after which the quantity would be increased to 3.75m tons per annum beginning second quarter of 2017. The long-term agreement also provides for annual upward and downward flexibilities of up to three LNG cargoes per contract year. Downward flexibility can be accumulated for two contract years. Under the ‘take or pay’ clause of the agreement, Pakistan is required to take full contracted LNG or else pay full cost even if it fails to receive LNG quantities for any reason. The PSO would be required to make full payment 15 days after the completion of LNG unloading. In order to ensure that the payment is made within 15 days, the PSO would provide Standby Letter of Credit to Qatargas at 105pc of the value of four LNG cargoes during the first year. From second year onwards, the PSO would provide the letter of credit of 105pc of the value of six cargoes. It said the delivery ex-ship price of LNG under the Mashal Project terminated following court disputes at $40 per barrel worked out at $6.94 per MMBTU. The price of integrated LNG import project at $40 Brent (Current Price is $30) was calculated at $6.01 per MMBTU ( Current $4.50 per MMBTU ). Spreading Knowledge and facts based on tangible support of narratives advanced by different individuals is a great service to Humanity. Sir May God bless you & your parents for the great service. We are supposed to have loyalty with Pakistan First and no matter who brings benefits. Faisal T: "IP was, is and will always be the best option"
Qatar deal is better in terms of price. Qatar gas is significantly cheaper than the price Iran is charging its customers Turkey and Iraq. Please read the article for data. Spot prices and long term contract prices in today's depressed oil market are different. Spot which Iran is charging Turkey and Iraq, as is Qatar, and long term contract price which Pakistan has signed is lower.....TODAY. As oil price rises this price will also go up and eventually Pakistan will be buying this at a price which will break the bank and our back. No Asian country except of course stupid Pakistan is signing long term. LNG contracts as stated in this Bloomberg report. Had Pakistan negotiated with Iran, even on a long term contract for LNG supply, though not advisable given the current glut, but had they, the contracted price would have been lower than with QG2. It's a tale of very sordid corruption in which Nawaz Sharif, Ishaq Dar and Khaqan Abbassi are direct beneficiaries, beautifully masterminded by Saif ur Rehman of REDCO. And look at the travesty. It is only after the Qatar deal is signed, that two weeks later Pakistan lifts sanctions against Iran, when European countries and the USA did it a month ago. Primarily to quickly sign the deal so that the Iranian option is closed. Mehdi: "Spot which Iran is charging Turkey and Iraq, as is Qatar, and long term contract price which Pakistan has signed is lower.....TODAY. As oil price rises this price will also go up and eventually Pakistan will be buying this at a price which will break the bank and our back. No Asian country except of course stupid Pakistan is signing long term. " Iran is not charging Turkey spot prices. 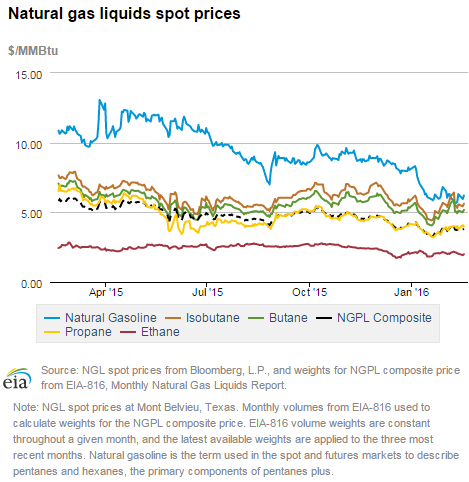 Unlike LNG, pipeline gas doesn't sell on spot market. Given the glut and new sources coming online, oil and gas prices will remain low for a very long time. Shale and new conventional oil and gas discoveries as well focus on renewables have fundamentally changed the fossil fuel business in favor of buyers. Oil rich countries like Iran and Saudi Arabia and OPEC no longer control the global energy monopoly. Give me a number for oil prices. Lower is not a number. I know this subject. I've been researching this for a long time. It's fixed as a % of Brent. 13.37% to be exact. Where do you think oil prices will be in 2, 4, 7, 9, 10, 12, 15 years from now. We will face the same incredibly finacial disaster when we signed a similar indexed pricing with the power companies during the PPP regime. This is a foolhardy and totally corrupt laden agreement. All regulatory agencies including OGRA has dissented. No discussion in parliament. No transparency on negotiations and alternate options. This is a sell out. Mehdi: "Give me a number for oil prices. Lower is not a number. ...We will face the same incredibly finacial disaster when we signed a similar indexed pricing with the power companies during the PPP regime. " Let me give you three reasons why this deal was struck. 1. To abort the Iran deal and placate our brotherly Saudi Arabia. 2. To line their pockets. 3. A very short term, short sighted, self centered decision to quickly bring gas into the country to avoid shortage and help them in the 2018 elections. Period. It wasn't a deal which was based on any long term thinking. Ultimately a Lohar is a Lohar. I know it's a cheap shot. But Nawaz Sharif and especially Ishaq Dar are anything but long term. They govern on a daily wages basis to fill their own coffers so they can "buy" the next election. Pakistan is like their personal Rakhael. Unfortunately. We can put as much perfume on a pile of crap but it will still stink and this stinks sir Riaz Haq saheb. It stinks. Mark my words. This will come to haunt us. Sadly. Mehdi: "To abort the Iran deal and placate our brotherly Saudi Arabia. ..A very short term, short sighted, self centered decision to quickly bring gas into the country to avoid shortage and help them in the 2018 elections. Period. It wasn't a deal which was based on any long term thinking. Ultimately a Lohar is a Lohar. I know it's a cheap shot. But Nawaz Sharif and especially Ishaq Dar are anything but long term. They govern on a daily wages basis to fill their own coffers so they can "buy" the next election. " I prefer to see the gas deal on its own merit, not through a political or sectarian lens. I'm no fan of the Sharifs or the Qararis. The All Pakistan Compressed Natural Gas Association (APCNGA) has finalised the modalities with Sui Northern Gas Pipelines Limited (SNGPL) to import liquefied natural gas (LNG) to provide cheap and environment-friendly fuel to motorists. “Although, the government has allowed the association to import LNG but we have the plan to get it through SNGPL for which almost all modalities have been finalised with the company,” APCNGA Chairman Ghiyas Abdullah Paracha told APP on Wednesday. He said 1,300 CNG stations operating in Punjab had so far shown willingness to get LNG through SNGPL’s distribution system and expressed confidence that the CNG sector would achieve ‘complete revival’ after the imported gas. The chairman was of the view that there should be an effective mechanism to pass on maximum benefits to consumers of the recently-signed deal with Qatar in which the government got succeeded to import LNG at the competitive rate. With regard to the proposed deal between the APCNGA and the SNGPL, Paracha said: “The LNG price for CNG sector should be market-oriented to run the sector effectively on long-term basis,” he added. The APCNGA, Paracha said, had negotiated with the SNGPL as per vision of Prime Minister Nawaz Sharif that private sector should also come up for the LNG import, and promote the trend in industrial sector for creating an atmosphere of competitiveness. He said the CNG was an environment-friendly fuel and claimed that it was 30 per cent cheaper as compared to petrol at the existing rates, adding that the CNG was being sold at Rs 53 per litre and Rs 82 per kilogram. Answering a question, he said the purpose behind selling the CNG in litre was to do its comparison with petrol so that consumers could feel the difference. But, he said, efforts would be made to end the prevailing CNG price disparity in provinces and bring its prices to Rs 47per litre from Rs 53 in consultation with the government. “Efforts of the association with regard to LNG import will be in the practical form, hopefully, in the current month, and the number of LPG-based CNG outlets will increase from 911 to 1,500 instantly,” he remarked. Replying to a question, Paracha said the APCNGA had applied for the marketing licence with Oil and Gas Regulatory Authority and it would be issued to the association soon. Minister of State for Water and Power Chaudhry Abid Sher Ali has stated that Tarbela 4th and 5th extension power projects will add 2820 Mega Watt (MW) low cost hydel electricity to the national grid system. Addressing the APP in Islamabad, the minister expressed that both projects in Tarbela would improve the current generation capacity of 3478 MW to 6298 MW. At the same time, 49 per cent work on Tarbela 4th generation extension project has been completed and the project would begin supplying 1410 MW to the national grid system in July 2017. Furthermore, the 5th extension power project would also add another 1410 MW to the system, the minister added. With regard to the 4th extension power project, the minister expressed that the project was expected to complete in 2018, but on the direct orders of Prime Minister Nawaz Sharif, the project will be operational by June 2017. The World Bank has offered financial assistance to the total cost of the project which is $ 929 million. On the other hand, the layout and design plan for the 5th extension power project had already been completed at a cost of $ 2.9 million. “It will complete in a 39-month period once work starts on it. The project would be commissioned in March 2020,” he added. “By the end of December 2017, the remaining three units having capacity to generate 242 MW each would start supplying electricity to national grid,” Abid Sher Ali added. In Pakistan, there has been an enormous increase in the demand of energy as a result of industrial development and population growth, compared to the enhancements in energy production. Therefore the supply of energy is falling behind the actual demand. For years, the matter of balancing Pakistan’s supply against the demand for electricity has remained a largely unresolved matter. The country faces big challenges in altering its networks that are responsible for the supply of electricity. Electricity generation in Pakistan has shrunk by up to 50% in the recent years, primarily because Pakistan’s energy infrastructure is not well developed; rather, it is considered to be under- developed and poorly managed. Pakistan needs around 15,000 to 20,000 MW electricity per day, however, currently it is able to produce only 11,500 MW per day hence there is a shortfall of about 4000 to 9000 MW per day. Over the years, there is a greater need of energy because there is a notable increase in population. According to the economic survey of Pakistan 2010-11, the total population of Pakistan is 177.1 million against the 173.5 million in last year. Population growth rate is 2.1 % and in the list of most populous countries, Pakistan is at 6th number. At the same time, Pakistan has higher-than-average population growth rate n South Asia. Energy crisis has, more or less, plagued all sectors of Pakistan’s machinery ranging from economy to industry, agriculture to social life, inflation to poverty and it is hampering national progress in a drastic manner. Nonetheless, menace of energy crisis can be overwhelmed by government working towards effective policies and its implementation. Simultaneously, it is also the responsibility of the people to utilize the available energy wisely to play our role for the progress of our nation. Also, we are not incorporating one very important factor that a large portion of the deal is self liquidating. In the sense that it additionally creates 100,000 job permits in qatar. So, in that case if average inward remittance from each individual is 1000 AED per month, it makes 1.2 billion AED per year of inward remittance. Which offsets a significant portion of payment pakistan has to pay yearly to qatar for compensation of LNG. Also, sir please incorporate one additional analysis (I really am looking forward to it). Port handling charges for each ship load has been restricted at $320,000 whereas pakistan originally charges $750,000 for handling of such ships at port qasim. Now the question is, if we incorporate those $430,000 lost revenue per ship cargo in the cost, what does the MMBTU cost comes too. Its the most important piece of puzzle every important analysis on the subject is over looking. Also, can you please do a comparative analysis on new solar tariff for solar energy projects commissioning in 2016 & onward at 8.36 per watt for southern pakistan (From sindh till multan)? How competetive is it as compared to the india? The first-ever ship of Liquified Natural Gas (LNG), after reaching an agreement between Pakistan and Qatar on LNG import last month, entered Pakistan’s maritime economic zone and was docked at Elengy Terminal at Port Qasim, Tuesday evening. The Qatari ship is the largest vessel carrying LNG to Elengy Terminal and is one of the largest ships anchored at Port Qasim. Its capacity is 216,000 cubic metres, said Elengy Terminal statement here. After docking, the LNG ship was hooked up with FSRU Unit of Elengy Terminal for re-filling of gas process. The ship would remain hooked up at the Elengy Terminal for two days till the process of re-gasification in pipeline is completed. The next LNG ship from Qatar is scheduled to arrive at Port Qasim on March 8, 2016. The Ministry of Water and Power and the State Grid Corporation of China are working closely to build an interconnecting electricity grid between the two countries to enable them to utilise each other’s energy potential. Water and Power Secretary Muhammad Younus Dagha stated this at the Global Energy Interconnection Conference in Beijing where more than 700 delegates were present. According to a statement issued by the ministry, the secretary said the building of the interconnecting grid would allow Pakistan to meet its growing energy demand according to the requirement. On the other hand, China will benefit from the clean energy potential in Pakistan, especially the hydroelectric power generation along the Indus River cascade, which is on the route of the China-Pakistan Economic Corridor. Dagha said Pakistan was very much positioned to become an energy corridor for the region and facilitate the exchange of clean energy in South Asia, Central Asia, the Middle East and China. Speaking about the Central Asia-South Asia (Casa) 1,000 power supply project, Dagha stressed that Pakistan had a unique geographical position as it was strategically located at the confluence of South Asia, Central Asia, the Middle East and China. He noted that Pakistan was moving fast to bridge the deficit and become an energy-surplus country in the next three years. “We hope to become self-sufficient in power generation by 2018, still we will be left with an untapped potential of more than 60,000 megawatts of hydroelectric power,,” he said. Pakistan also has an untapped potential for more than 90,000MW of wind power in its south and an unlimited solar power potential across 850,000 square km of its area. Iranian ambassador Gholamreza Ansari also stressed that the "Americans will not let it happen". "Those who have invested in the LNG (liquified petroleum gas) projects in India will not allow the pipeline venture to take off, he said at a media interaction at the Foreign Correspondnets' Club here Thursday evening..
"People who have invested in LNG in India, I don't think they will let any pipes to come in," he said. "Americans are looking for the Indian market for the future and any sort of pipeline will put and end to these investments. So, I don't think pipeline can be a serious project. I am sure Americans will not let this project go ahead," he added. He said that the Chabahar port project that will open up access to central Asia has been almost finalised. "It has almost been finalised. Only the signatures at the ministerial level is due," he said. Pakistan and Iran have signed a deal under which the former will import 75,000 tons of liquefied petroleum gas within a year, months after a similar agreement was inked with Qatar. According to the deal, signed by the All Pakistan Liquefied Petroleum Gas Distributors Association and a national Iranian company, at least 6,000 tons of LPG will be imported from Iran every month over the course of a year. In February, Pakistan and Qatar signed a $16-billion liquefied natural gas (LNG) deal which provides imports for 16 years, throwing the authorities in energy-crisis ridden Pakistan a life-line for supplies. The deal signed in Doha by Pakistani Prime Minister Nawaz Sharif and Emir of Qatar Sheikh Tamim bin Hamad bin Khalifa will see Qatar export 3.75 million tons of LNG to Pakistan. This is significant for Pakistan, which faces a 50% supply gap in relation to demand. As concerns the deal with Iran, the price of the imported LPG will be in line with local market prices, according to All Pakistan Liquefied Petroleum Gas Distributors Association president Irfan Khokhar. Lithium prices have tripled over the last few years as the electric car boom starts to take hold. A number of companies are uniquely positioned to generate huge gains for early in investors. In the meantime, Pakistan’s only LNG terminal at Port Qasim has converted 1.7 million tons of imported LNG and pumped more than 77 billion cubic feet of gas into the national gas distribution network. Over the course of last 13 months, some 29 LNG shipments from Qatar, Australia, Nigeria and Spain have docked at this port. Related: The Last Great Frontier For Cheap Oil And Gas? “This terminal alone will save up to $600 million for Pakistan through fuel substitution and will generate up to 2,000MW of electricity. The step to set up LNG import infrastructure is in the right direction and the country needs another three to four LNG import terminals to curtail the ongoing crisis,” Pakistani media quoted terminal manager Amir Mahmud as saying. With the security situation in Afghanistan deteriorating, India is also looking to find various ways to maintain its foothold in the war-torn nation to counter Pakistani influence. With the land route to Afghanistan through Pakistan unavailable, it's looking at Iran to trade with Afghanistan. India is investing more than $150m to develop Chabahar port in south-eastern Iran. It hopes the port will give a transit route to Afghanistan. In the future, it also wants to bring gas from Central Asia and then transport it to India. The project will also give sea access to Afghanistan. "From India's perspective, Chabahar port is a gateway to Afghanistan. From Chabahar there is a road which goes all the way to Afghanistan and it will link up with a road which India has already built inside Afghanistan. In a way, India is ensuring that there could be no exit strategy from Afghanistan," says Mr Roy-Chaudhury. Mr Modi plans to visit Kabul in June and he is expected to sign a trilateral trade agreement with Iran and Afghanistan for Chabahar port. During his meeting with the Iranian president Hassan Rouhani, Mr Modi would want to assure that India is keen to establish deeper and long-standing ties. But Iranians may be a bit wary given their past experience. India is home to the world's second highest Shia population, next only to Iran. Iran's influence over an estimated 45 million Shias in India is regarded as significant. With Iran emerging after international sanctions, it offers great investment opportunities to Indian companies. But the bilateral ties suffered setbacks following international sanctions on Tehran over its nuclear programme. As successive Indian governments moved closer to the US, their Iran policy took a back seat, much to the displeasure of the Iranians. Iranians were dismayed when India voted against their country at a vote in the International Atomic Energy Agency in 2009. Then India significantly reduced oil imports from Tehran following US pressure. "That was a bitter lesson for the Iranians. They understood that India would not take Iran's side on any dispute and India would not sacrifice its relations with the US and the West for Iran," says Fatemeh Aman, an Iran-South Asia affairs analyst based in the US. During his first two years at office, Mr Modi focused more on India's immediate neighbourhood and Indian Ocean rim countries. Relations with the United States and the west were given a priority. When the international sanctions were in place, India could not pay for the oil it had imported from Iran. It still owes $6.5bn in unpaid dues and Delhi is still finding a way to facilitate the payment. Western banks are still reluctant to do business with Iran when some of the US sanctions are still in place. India is aware that China is making inroads into Iran to rebuild the economy devastated by the sanctions. The Chinese president, Xi Jinping, visited Iran in January this year to firm up business ties. Beijing is already Iran's largest trading partner. China will invest about USD 8.5 billion to upgrade Pakistan's rail network and to build a key gas pipeline with Iran to meet the country's energy needs, a media report said today. The Central Development Working Party (CDWP), a Pakistan body to authorise major projects, yesterday approved USD 10 billion worth two projects. China will provide loans equivalent to 85 per cent (USD 8.5 billion) of the cost of each project. The cost of upgrading of Pakistan Railways existing Mainline (ML-I) and establishment of a dry port near Havelian is USD 8.2 billion, which the Chinese government will finance with a USD 7 billion concessionary loan, The Express Tribune reported. This project is part of USD 46 billion China-Pakistan Economic Corridor (CPEC) package and is covered under the CPEC Framework Agreement, signed during the April 2015 visit of Chinese president to Pakistan. The estimated cost of Gwadar-Nawabshah LNG Terminal & Pipeline project, also cleared in principle, is USD 2 billion including USD 1.4 billion Chinese loan. This project is strategically important for Pakistan as it will eventually link the country's gas network with Iranian system. "The exact costs of both the projects will be firmed up after finalising financing arrangements," CDWP Chairman and Minister for Planning, Ahsan Iqbal, said. "After finalisation of the financing arrangements, both the projects will be taken to the Executive Committee of National Economic Council (Ecnec) with firmed up cost for final approval," he said. At present, Pakistan Railways is picking up less than 4 per cent of the traffic volume of the country, which the government intends to increase to at least 20 per cent by 2025. The project is planned to be completed in two phases in five years by 2021 on engineering, procurement and construction (EPC) mode. Phase-I will be completed by December 2017 and Phase-II by the year 2021. The CDWP also cleared Gwadar-Nawabshah LNG Terminal and Pipeline Project at an estimated cost of roughly USD 2 billion or Rs. 206.6 billion. The Chinese Exim bank will provide 85 per cent of the financing under government-to-government mode. The EPC contract will be given to a Chinese company. The pipeline project will be included in the CPEC framework. The key objective of this project is to overcome gas shortages by importing LNG and its transportation through Gwadar-Nawabshah pipeline. In phase-I, the pipeline will follow the coastal pipeline corridor, which was formally established for the Iran-Pakistan gas pipeline. In phase-II, a 90-kilometer patch will be constructed from Gwadar to Pakistan-Iran border to tie the national network with Iranian system. Pakistan is taking another step towards becoming a key buyer of liquefied natural gas (LNG), signing a deal to purchase a Floating Storage and Regasification Unit (FSRU) for its second import terminal. Singapore's BW Group said in a statement on Monday that it would deliver the FSRU to Pakistan GasPort Limited (PGPL) in the fourth quarter, as well as providing the terminal at Port Qasim, Karachi with LNG regasification services in a 15-year agreement. The South Asian country has been earmarked as an up-and-coming demand outlet for the oversupplied LNG market. Along with Egypt and Jordan, Pakistan was a newcomer to the LNG import market in 2015, helping drive up demand and absorb growing world supplies from a wave of new projects. The new import terminal will be able to receive 600 million cubic feet of natural gas per day and is expected to be commissioned for operations by mid-2017. The terminal will reduce Pakistan's gas deficit by 30 percent and ensure fuel for 3,600 megawatts of new power generation plants being constructed in the country, said PGPL chairman Iqbal Ahmed. Pakistan started up the 3.5 million tonnes per year Engro Elengy LNG terminal, the country's first LNG import facility, in Port Qasim last March. Pakistan shipped in a total of 1.02 million tonnes of LNG in 2015, and has imported 1.78 millions tonnes in the first seven months of this year. "We are seeing weaknesses more in the North Asian market, and (South) Korea ... and a lot of the strong (demand) growth in where you might expect," said Neil Beveridge, a Hong Kong-based analyst at AB Bernstein, referring to emerging economies such as Pakistan. Qatar, which signed two term supply contracts with Pakistan this year, is the country's largest LNG supplier. Pakistan is taking on its acute energy shortage by dramatically ramping up imports of liquefied natural gas, while undertaking the longer-term goal of upgrading its energy infrastructure with new pipelines, refineries and storage facilities. Key to Pakistan’s plan are floating terminals that will convert imported LNG into gas. Costing less than half of building a traditional on-land terminal and faster to get up and running, the vessels anchor at ports, often on a long-term basis, and pipe gas into land-based pipeline networks, helping cash-strapped countries meet urgent energy needs. The floating import terminals have opened up new markets for LNG producers, who are under pressure from falling prices that have halved in the past two years due to a wave of new supply. The country kick-started LNG imports in 2015, with Pakistani petrochemical and energy company Engro Corp. Ltd. leasing a floating import terminal, stationed in Karachi’s Port Qasim from where gas is piped into Pakistan’s local distribution system. A second terminal is planned for mid-2017 by a consortium led by Pakistan GasPort Ltd. Up to five such terminals are needed, said Sheikh Imran ul Haque, chief executive of the country’s biggest energy importer, Pakistan State Oil. “Pakistan has not seen as much restructuring in its energy sector as what’s happening today in decades. And if we’re successful, there’s a potential investment of around $15 billion in refineries, pipelines, and the other projects coming in,” Mr. Haque said. Mr. Haque said that Pakistan will be in the market within the next four months to buy around 4 million tons per year of LNG to supply its second import terminal. The LNG will most likely be purchased in a series of tenders at between 0.75-and-1.5 million tons apiece, Mr. Haque added. Pakistan officials see LNG imports as providing fast relief. The country of nearly 200 million people has long suffered from a lack of investment in its energy sector, causing hours of rolling supply cuts to homes and businesses daily. The U.S. Agency for International Development estimates that power shortages curb Pakistan’s economic growth by around 2% a year. Pakistan LNG Ltd has launched a mid- and a long-term tender to purchase a combined 240 shipments of liquefied natural gas (LNG), the company said on its website, as the country emerges to become a major gas importer. Pakistan, which can only meet around two-thirds of its gas demand, is expected to issue further tenders seeking twice as much supply to fill out remaining capacity at its new import terminal at Port Qasim, in the commercial capital Karachi, according to one Pakistani energy expert. The mid-term tender covers a period of five years and calls for 60 shipments, while the long-term tender is for 15 years and 180 cargoes, according to information presented in the tender documents released on the company's website on Tuesday. Suppliers must submit bids by Dec. 20. Pakistan has ploughed billions of dollars into LNG infrastructure, including the construction of a second LNG import terminal and pipelines linking Karachi with Lahore in the Punjab region, the nation's industrial heartland. The current crop of tenders are a small part of Pakistan's projected demand as the country works to bring two more import terminals online within the next couple of years, making it a potent force in global gas markets. The country first began buying LNG last year and has already contracted supplies from trading firm Gunvor and Qatargas, the world's biggest LNG producer. Cheap gas is tempting out new importers from the Middle East to Africa and Asia, helping stave off a deeper price rout hurting producers' bottom lines. Cheaper than fuel oil and cleaner-burning than coal, LNG suits emerging economies racing to bridge electricity shortfalls and support growth on tight budgets. The Port Qasim LNG terminal, which is due to go online in mid-2017, has a capacity of 600,000 million cubic feet per day. "This tender is for 200 million cubic feet. That means another 400 million will need to be tendered out soon," said the industry source. A Pakistan LNG official in September said the country was working on commercial as well as government-to-government LNG deals. India should consider reviving the long-delayed Iran-Pakistan-India (IPI) gas pipeline following easing of sanctions on Tehran, a Parliamentary panel has said. India had almost abandoned the IPI pipeline in 2008 following the US sanctions against Iran over its suspected nuclear programme and has instead pursued a rival line from Turkmenistan, passing through Afghanistan and Pakistan (TAPI pipeline). “The government should examine the idea of reviving the (IPI) project as international conditions have become favourable following lifting of sanctions against Iran,” the Standing Committee on Petroleum and Natural Gas said in a report submitted to Parliament on Friday. There has been “little or no progress” in the IPI project since 2008 for a number of reasons, the Committee said in its report without elaborating. India is pursuing transnational pipelines to meet rising energy needs. The country is reliant on imports to meet about half of its natural gas needs. The panel said a consortium for Turkmenistan-Afghanistan -Pakistan-India (TAPI) pipeline — TAPI Pipeline Company Ltd (TPCL) — was incorporated in Isle of Man, and shareholders’ agreement signed in December 2015. Turkmenistan will own 85 per cent of TPCL while India, Pakistan and Afghanistan will each have 5 per cent stake. “The construction of pipeline has commenced in December 2015 and is likely to be completed in about 7 years,” it said. “The Committee feels that trans-national pipelines are important elements of national energy security and they need to be pursued vigorously,” the report added. On April 7 last year the Investment Agreement (IA) of TPCL was signed in Ashgabat. “It relates to initial equity infusion by the shareholders. TPCL subsequently opened its office in Dubai, UAE and has been holding its board meetings,” the ministry said in its submission to the panel. Pakistan is poised to overcome the chronic energy crisis in the next six months as it doubles the import of liquid natural gas (LNG) and removes the deficit in power production, said Federal Minister for Petroleum and Natural Resources Shahid Khaqan Abbasi on Tuesday. “The second LNG import terminal would become operational in two months,” Abbasi said at the rebranding of a Pakistan State Oil’s (PSO) outlet in Karachi. The new import terminal, Pakistan LNG Terminal Limited at Port Qasim by Pakistan GasPort consortium, would add 600 million cubic feet per day (mmcfd). Engro’s Elengy Terminal Pakistan Limited at Port Qasim has already been importing 600mmcfd in the country from Qatargas. The minister said import of LNG would continue to increase to meet rising domestic demand going forward. “The domestic demand has shot up to 7bcfd (billion cubic feet per day) against local production at 4bcfd,” he said. He said that the country would do away with the deficit gas production by importing 3bcfd by December 2018. A Turkish company, Global Energy Infrastructure Limited, is constructing another LNG import terminal with a capacity of 750mmcfd at Port Qasim. As per plans, the terminal would be ready to import gas sometime in July-December 2018, it was learnt. Pakistan says it could become one of the world's top-five buyers of liquefied natural gas (LNG), with Petroleum Minister Shahid Abbasi predicting imports could jump more than fivefold as private companies build new LNG terminals. Outlining Pakistan's ambitious plans - which, if fully implemented, could shake up the global LNG market - Abbasi told Reuters that imports could top 30 million tonnes by 2022, up from just 4.5 million tonnes currently. Cheaper than fuel oil and cleaner burning than coal, LNG suits emerging economies seeking to bridge electricity shortfalls and support growth on tight budgets. "Within five years, I don't see any reason why we should not be beyond 30 million tonnes (in annual LNG imports). We will be one of the top five markets in the world," Abbasi said. That kind of jump would represent one of the fastest growth stories in the energy industry, comparable to what China has done in many commodities - but there are doubts whether Pakistan can achieve its ambitions, given the complexity and cost of expansion projects. "It's always possible, but seems very difficult as they will need much more (regasification) capacity and downstream pipeline capacity," said Trevor Sikorski at Energy Aspects, a London-based industry market researcher. "There are infrastructural issues and financial issues." "Still, it is one of the key LNG growth markets, and its demand will help tighten up the market that has threatened to lurch into over supply." Abbasi said no one took Pakistan seriously after a decade of botched attempts to bring LNG to the country, but this has changed with the construction of new LNG terminals and gas plants. He said foreign suppliers are now arriving in Pakistan - where energy shortages have prompted Prime Minister Nawaz Sharif to promise he'll end the country's frequent blackouts. "Before, we used to go out to talk to LNG suppliers. Now they're coming to us," Abbasi said. "(LNG) is really what has saved the whole energy system. It has been a huge success in Pakistan and it will continue," he said after Sharif on Friday inaugurated a new Chinese-built LNG power plant that uses General Electric turbines. Pakistan built its first LNG terminal in 2015 and, after some delays, a second terminal is due to come online in October, doubling annual import capacity to about 9 million tonnes. A consortium of Exxon Mobil, Total, Mitsubishi, Qatar Petroleum and Norway's Hoegh is expected to decide by September whether to build a third LNG terminal for about $700 million, Abbasi said. Pakistan has dropped plans to finance up to two more terminals, as private companies have said they would finance these themselves and use Pakistan's existing gas network to sell directly to consumers. "That's been the real success and that's where the growth will come from," Abbasi said, adding that about 10 million homes are linked to gas connections in Pakistan - a nation of around 200 million. "In the last four years, we would have added two million additional connections. We are really ramping that up." If Pakistan achieves its ambitious development goals, it could significantly erode market oversupply, which has helped pull down Asian LNG spot prices by more than 70 percent since 2014 to around $5 per million British thermal units (mmBtu). MELBOURNE (Reuters) - A plan by top global liquefied natural gas (LNG) exporter Qatar to ramp up output will stall the expected growth of U.S. LNG exports, the head of Australia's Woodside Petroleum, operator of the country's biggest LNG plant, said. Qatar surprised rivals this month when it lifted a self-imposed ban on development of the North Field, the world's biggest natural gas field, saying it would boost LNG output by 30 percent to 100 million tonnes a year in five to seven years. That put it on course to it wrest back the title of the world's top LNG exporter from Australia, which is set to overtake Qatar in the next two years. Woodside, operator of the North West Shelf project, said Qatar's plan showed the emirate shares its outlook for solid demand growth for LNG and gives importers like China, India, Pakistan and Bangladesh the supply certainty they need to lock in gas expansion plans. "The Qataris will not take up all of the available market," Woodside Chief Executive Peter Coleman told Reuters in an interview on Thursday. Qatar's expansion plan will compete directly with Woodside, which is looking to develop the Browse and Scarborough fields off Western Australia within the next decade - its so-called Horizon 2 projects - by processing gas through the North West Shelf plant or other existing facilities. "On the challenge side, low cost will get into market, and that's what we're doing with our Horizon 2 projects. We're trying to make sure they're low cost, and they're well positioned, because we're targeting the Asian market," Coleman said. Projects that will find it harder to compete will be those that need billions of dollars in new infrastructure and coal seam gas-to-LNG projects that need continuous capital spending to drill new wells, he said. The International Energy Agency last week forecast the United States would become the world's second largest LNG exporter by the end of 2022, but Coleman said the Qatari expansion would stymie that growth. "It'll keep a lid on U.S. expansions, because U.S. expansions are transportation-challenged," he said. U.S. LNG flows largely into the Atlantic market, where it competes against pipeline gas from Russia and Norway. GE has beat its global record for first fire of an H-class gas turbine in Pakistan. Along with Chinese EPC partner Harbin Electric International Company, GE said it completed the first test in 66 days from delivery on-site. It added that grid synchronization of the gas turbine was achieved in 74 days, another record. Two 9HA.01 gas turbines and one steam turbine were supplied to the 1.2 GW LNG-fuelled combined-cycle Balloki power plant in Punjab, currently under development by Pakistan’s government through the National Power Parks Management Company Limited (NPPMCL). The plant is scheduled for commissioning later this year. It will feature a primary re-gasified LNG fuel system, a secondary diesel fuel system, water cooled condensers and a cooling tower. The first turbine is now producing up to 380 MW, GE said. In a statement, the firm emphasized the “strong collaboration” with NPPMCL and Harbin Electric in driving the project. The previous record was set at Pakistan’s 1230 MW Haveli Bahadur Shah plant, where the duration from gas turbine delivery to first fire test was 74 days according to GE. Pakistan is the first country in the MENA-Turkey-South Asia region to install 9HA turbines. Rashid Mahmood Langrial, CEO of NPPMCL, said, “We are committed to delivering on the government’s vision to strengthen power generation in Pakistan and to meet the growing needs for power for residential and commercial use. “With the first fire and synchronization of the first gas turbine, Balloki is on schedule to enter operation and will support the people and national economic growth of Pakistan. Pakistan is actively working on boosting its energy security. Earlier this month, the nation signed an agreement with France’s Agency for Development (AFD) for $192m in loans to bolster its energy sector against growing demand. Planned work includes modernizing the 1 GW Mangla hydropower plant and improving transmission efficiency. South Asia, long a backwater for energy markets, is emerging as a hotspot for liquefied natural gas (LNG) with Pakistan and Bangladesh set to join India as major consumers, helping to ease global oversupply that has dogged the market for years. Pakistan started importing LNG in 2015 after developing its first terminal within schedule and budget. A second is about to become operational and a third is expected to be completed next year. With Bangladesh set to join the club of importers next year, the region could import 80-100 million tonnes a year by mid-2020s, analysts said, making it the world’s second biggest import region, ahead of Europe. “By 2025, depending on our national demand, we will import anywhere from 2,000 to 2,500 mmcfd of gas,” Hamid said. Those imports would add to plans from India and Pakistan to buy 50 million and 30 million tonnes of LNG per year, respectively, by mid-2020s. “LNG imports in South Asia are expected to rise four-fold from 22 million tonnes per year in 2016 to over 80 million tonnes per year by 2030,” said Mangesh Patankar, head of Asia-Pacific business development at energy consultancy Galway Group. Should all plans in the region go ahead and Sri Lanka also starts imports, this figure could rise to 100 million tonnes, industry project data shows. That would push South Asia’s demand ahead of Europe as the world’s second biggest LNG import region by 2020, though it would still lag North Asia’s 150 million tonnes of annual imports. 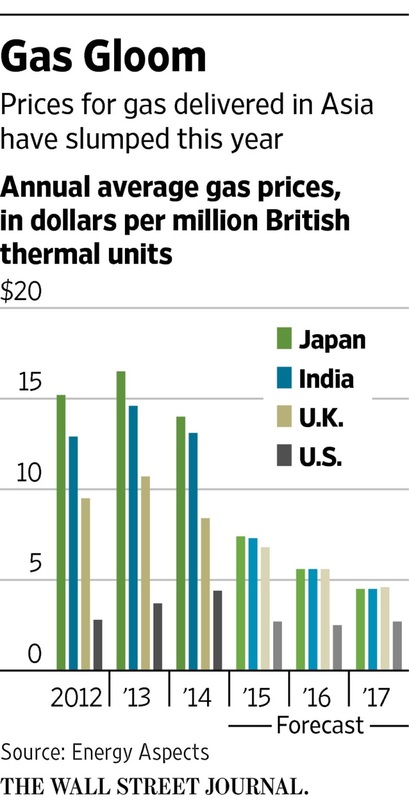 The boom in demand will help ease oversupply in LNG markets, which have resulted in a more than 70% price fall from their 2014 peaks to $5.75 per million British thermal units. Around eight months back, Pakistan signed a 15-year agreement with Qatar for import of 3.75 MTPA (millions ton per annum) to meet its growing energy needs as all the existing natural gas reserves appeared insufficient to bridge the ever-increasing gap between demand and supply of the commodity. The deal started doing wonders when the imported gas fed industries, CNG stations, gas-fired power generation plants and fertilizer sector, giving an impetus to economic activities in the country. "The country had no option other than to import gas whether it is the LNG or through Iran-Pakistan and Turkmenistan-Afghanistan-India gas pipeline projects as the country's existing reserves are depleting and there is no major find since long," officials of Ministry of Energy's Petroleum Division told APP. They expressed confidence that the LNG import would prove to be a game-changer for Pakistan because it was considered an essential part of the energy mix needs of emerging economies. The world is turning towards the LNG and emerging economies such as China, Korea, Japan, India, Thailand, Indonesia, European Union, and Brazil ensure that teh LNG remains part of their energy mix requirements. The Japan is importing 80 million ton of LNG every year (MTPA) and India 15 MTPA due to the commodity's low price and efficiency as compared to other fuels. The Pakistan's gas supply-demand gap has reached four billion cubic feet per day (BCFD) as total unconstrained gas demand of the country is eight BCFD against total supply of four BCFD. Needless to say in winter the demand rapidly increases. They said the LNG was the cheapest alternative fuel and the only instant available remedy to meet the country's energy needs when the existing natural gas reserves were diminishing. "The LNG is available to consumers at cheaper rate than the LPG. The RLNG price for consumers will be lower than the prices of other alternate fuels. The price of the LNG for consumers is Rs850 per MMBTU as compared to home delivered price of the LPG at Rs2,000 per MMBTU and domestically produced natural gas is priced up to Rs700 per MMBTU," the official disclosed. In 2015, the country got its first LNG terminal, which was built in the record period of 11 months and is injecting 600 MMCFD of RLNG in the national system to meet the existing energy shortfall. Normally, a terminal takes around three to four years to complete and become operational, but it is the hallmark of the present government to set up the country's first LNG terminal in just 11 months. The second terminal is scheduled to start functioning shortly at the Port Qasim. Now, the world's major players are showing interest to invest in the LNG sector of Pakistan by setting up their own terminals and developing supply networks to supply gas to consumers through third party access. Pakistan is building deeper relations with many countries through oil and gas deals on a government-to-government basis after the successful model of oil imports from Kuwait, and in this context, the LNG import deals with various countries, including China, Turkey, Russia, Malaysia, Indonesia and Oman are being negotiated. Addressing the event, Abbasi said the LNG Terminal-2 was established in a record 330 days. “If you don’t add more gas into the system, you cannot fight the energy crisis,” he insisted, adding that other methods to produce energy are either too expensive or too slow. He said load-shedding will become history by end of November this year. During the meeting with a delegation of businessmen a day earlier, the premier had said China-Pakistan Economic Corridor (CPEC) projects were the lifeline of economic development in Pakistan, hence the business community should take full advantage of the CPEC projects. He arrived in Karachi on Saturday on a two-day visit. Earlier in August, an official at the Ministry of Petroleum and Natural Resources said that imports by the LNG Terminal-1 on Port Qasim fulfill 25 per cent of the national gas shortage. The first terminal had received 102 shipments of LNG, the prime minister said. Pakistan is currently in negotiations to secure an additional three million mt of LNG in long-term contracts by the end of the year to supply its new LNG floating terminal due to arrive by December, according to M. Adnan Gilani, chief operating officer with Pakistan LNG Ltd. The negotiations are taking place with over half a dozen potential suppliers on a bilateral government-to-government basis, Gilani said at an interview with S&P Global Platts Thursday on the sidelines of the 9th CWC LNG Asia Pacific Summit, held in Singapore September 19-22. "We hope to have two to three government-to-government agreements signed by the end of this year," Gilani said. "In the interim, we will secure around four spot cargoes a month [the equivalent of 3 million mt/year] until our contracts start." The new supply agreements will increase Pakistan's total LNG contractual commitment to more than 11 million mt/year, as the country aims to resolve a decade-long energy crisis, driven by mounting gas consumption and faltering domestic production. The new contractual volumes will be delivered to Pakistan's second floating, storage and regasification unit -- with a capacity of 4.5 million mt/year -- due to arrive at Port Qasim by the end of the year. Currently, imports are being delivered to the Exquisite, an FSRU with a similar capacity, with another two due start up in the second half of 2018, all in Port Qasim. As with PLL's previous supply agreements, the new deals will also be priced against international crude oil benchmarks, Gilani said. PLL aims to change the electricity feedstock landscape by replacing fuel oil with regasified LNG, so LNG priced at a low slope to crude would guarantee the competitiveness of LNG over crude. "Because of the fuel-oil substitution effect, the risk of oil prices moving in one direction or another is less of a concern; as long as it is oil linked, it is always better for us compared to fuel oil," Gilani said. The excess use of fuel oil in power generation as a result of Pakistan's decade-long gas shortage has cost the government an extra $1 billion-$2 billion/year. The country's consumption of diesel and fuel oil, a more expensive alternative to gas in power generation, peaked at 387,140 b/d in fiscal year 2014-15 (July-June), according to data from Pakistan's Oil Companies Advisory Council, before falling 1% in fiscal 2015-20, following the startup of the country's first LNG import terminal in March 2015. In the longer term, Pakistan aims to allocate a quarter of its LNG purchases to the spot and short-term markets, Gilani said. "Initially, our goal is to solve our energy crisis. We have long-term downstream commitments, so we do not mind going to mid-to-long term initially," he said. "Over the course of time, we will be able to cater to our variable non-cyclical demand... and allocate about a quarter of our portfolio to spot and short term. PLL is currently purchasing four cargoes per month on a short-term basis as it awaits the start of new term volumes. In the company's most recent tender, issued Tuesday, PLL sought four cargoes for delivery in January, with an award due to be announced November 3. PLL's previous tender, for four December cargoes, received 15 bids from a total of six sellers: Vitol, Engie, Gas Natural Fenosa, Gunvor, Trafigura and BB Energy. The lowest offer, at 13.98% of ICE Brent, was submitted by BB Energy. An award is yet to be announced. Pakistan has asked Russia to make a further reduction in the tolling fee for pumping liquefied natural gas (LNG) through a planned $2 billion North-South pipeline that will bring energy for consumers in Punjab. “Pakistan is seeking to further push down the fee to $0.78 per million British thermal units (mmbtu) in talks with Russia,” a senior government official said while talking to The Express Tribune. Earlier, Moscow had demanded $1.2 per mmbtu for gas transmission. However, a negotiating committee, set up with approval of the Economic Coordination Committee (ECC), later agreed on 85 cents per unit. At present, the two sides are finalising terms and conditions of a commercial agreement to pave the way for execution of the project. Commodities trader Gunvor and Spain's Gas Natural Fenosa put in the lowest bids in a tender to supply Pakistan with four liquefied natural gas (LNG) cargoes in January, a document posted on Pakistan LNG Ltd's website show. The state-run importer launched the tender last month, setting out four delivery windows across January for the country's second floating import terminal in Port Qasim, which has faced lengthy operational delays. The terminal, called the BW Integrity, is currently moored offshore, waiting until a sub-sea and on-shore section of pipeline is built to feed the regasified LNG into the country's gas grid. The project was initially due to start around May but was since delayed to mid-November. As a result of start-up uncertainty, Pakistan LNG Ltd delayed awarding a tender for four cargoes due to be delivered in December by Trafigura , B.B. Energy and Gunvor. Some Pakistan-based sources say that the import terminal may not be ready to receive supply until January at the earliest, although other sources are more optimistic. Six companies took part in the latest tender for January supply, including Gunvor, Vitol, Gas Natural Fenosa, Trafigura and B.B. Energy. Swiss trader DufEnergy also bid but was disqualified on technical grounds, according to the document. All bids are expressed as a percentage of Brent. For the Jan. 11-12 delivery window, Gas Natural Fenosa submitted the most competitive bid at 16.25 percent of Brent. For Jan. 16-17 and Jan. 21-22, Gunvor was most competitive at 16.4844 percent and 16.8931 percent, respectively. For Jan. 26-27, Gas Natural Fenosa won with its 16.125 percent bid, according to the document. Pakistan LNG Ltd is due to officially award the cargoes at a later date. Exxon Mobil has pulled out of a major project in Pakistan, in a potential blow to plans to boost imports of liquefied natural gas (LNG) after years of winter shortages. Differences among the six-member group behind the project in Port Qasim in Karachi mean French oil major Total and Japan's Mitsubishi may also quit and join a rival scheme, government officials and industry sources told Reuters. A senior Pakistani government official put the chances of success for the project, set to be Pakistan's third and biggest by import capacity, at 10-20 percent due to the disagreements. The new project would include a floating storage and regasification unit (FSRU), where LNG will be converted back into gas for feeding into the country's grid. Qatar Petroleum [QATPE.UL], the world's biggest LNG producer, Turkish developer Global Energy Infrastructure Limited (GEIL) and Norway's Hoegh LNG, which will provide the FSRU, are the other partners. While Exxon has pulled out, the U.S. company was now negotiating to join a separate project, Hasil Bizenjo, Pakistan's Maritime Affairs minister in charge of ports, said. "They are thinking to build a new terminal in Port Qasim," Bizenjo told Reuters in the Pakistan capital Islamabad, adding that Mitsubishi and Total were also in talks about taking stakes in another consortium. Exxon was pulling out because it had "issues with partners", particularly the developer, GEIL, one energy official said. Exxon's move leaves in doubt a multi-billion dollar deal Qatar has already struck with GEIL for the sale of up to 2.3 million tonnes of LNG annually over 20-years. LNG imports have transformed Pakistan's energy map since the country's first import facility was introduced in 2015. If the second LNG terminal proceeds without glitches the South Asian nation will not suffer winter gas shortages for the first time in more than 10 years, energy officials say, in a likely boost for Prime Minister Shahid Abbasi's ruling party before the next general elections, due in mid-2018. Government officials and industry sources said talks are underway to bring new players into the project, including Swiss trading house Vitol [VITOLV.UL], which declined to comment. The auditors complained that the petroleum ministry did not give the original document for audit. Out of 32 audit paragraphs, only one directly referred to the LNG purchase from Qatar. “The price (13.37% of Brent crude) negotiated with Qatar was at a higher rate as Qatar was the source supplier of LNG whereas trading companies in open market were offering average rates lower than the one finalised with Qatar,” according to the audit’s objections. Had open competition been allowed and other LNG producing countries permitted to submit bids for consideration of the Economic Coordination Committee (ECC), the government would have been able to procure LNG at lower rates, the audit report said. The ECC in 2012 had decided that there would be international competitive bidding which the PML-N government changed and signed a sovereign deal. The AGP department worked out the higher price by only comparing the five-year LNG import contracts signed by Pakistan State Oil (PSO) with the sovereign deal. The price negotiation committee had recommended 13.9% of the Brent price, but the final deal was signed at 13.37% on the basis of short-term contracts that PSO signed with global commodity trader Gunvor for 60 LNG shipments, said the report. But Pakistan entered into a 15-year contract that would require approximately 500 shipments, it added. The AGP department had initiated the audit on its own and later the then petroleum minister expressed the desire to give a presentation to the auditors to explain the whole issue, said former Auditor General of Pakistan Rana Asad Amin. The study said the federal cabinet did not approve the LNG deal with Qatar and approvals were given by the ECC. The agreement for cooperation in the energy sector was signed between the two states while the sale-purchase agreement was inked by PSO and Qatar Gas-2 in 2016. The report said the petroleum ministry did not analyse the expert studies carried out by two consulting firms – Fact Global Energy and QED Gas Consulting – and the studies were missing from the ministry’s records. However, the report did highlight some irregularities committed by PSO, Sui Southern Gas Company (SSGC), Sui Northern Gas Pipelines (SNGPL), Inter State Gas Systems (ISGS), Engro Elengy Terminal Limited (EETL) and PSO. The auditors objected to the Rs16.4 billion worth of LNG procurements by PSO terming them irregular as these were done without inviting tenders. The special study also declared Rs10.2 billion worth of LNG procurements by PSO as “mis-procurements”, due to rate revisions after the opening of bids. But the petroleum ministry argued that the government saved money since the revised rates were lower than those quoted by the bidders. PSO has also been accused of irregularly procuring Rs7.7 billion worth of LNG by giving less than the required time to the bidders for bid submission, which was in violation of the Public Procurement Regulatory Authority rules. PSO was also accused of paying fender charges to EETL despite there being no such clause in the agreement. The study said the agreed payment mechanisms had not been followed in the LNG supply chain, which in 2015-16 alone created Rs8.9-billion liability for SNGPL. SNGPL also could not recover Rs4.8 billion from independent power producers (IPPs) due to non-observance of the agreed payment mechanisms. The auditors pointed out that SNGPL did not receive standby letters of credit from the IPPs equivalent to Rs55 billion. Pakistan said it saved more than $600 million over the first 10 years of a natural gas supply deal by pitting some of the world’s biggest sellers against each other. Doha: Qatar Petroleum President and CEO Saad Sherida Al Kaabi held talks in Islamabad with Imran Khan, the Prime Minister of Pakistan, on cooperation in the field of energy. Al Kaabi reviewed Qatar Petroleum’s global portfolio and activities, particularly its efforts to help meet growing global demand for natural gas. He also expressed Qatar Petroleum’s keen interest to enhance its investment in Pakistan and to build on the existing solid relations between both sides. Al Kaabi also stressed the importance Qatar Petroleum places on Pakistan as a promising energy market after the signing of the recent LNG agreement, and the commitment to secure its future energy needs, particularly LNG. On his part, Khan welcomed Qatar Petroleum’s investment in Pakistan’s energy and petroleum sectors. He assured Al Kaabi of the Pakistani government’s full support and cooperation in this regard.